The first Tokyo Auto Salon has finally arrived in Singapore this weekend, attracting thousands of car enthusiast and photographers from around the region. Apart from a display of modified and customised cars, other highlights included performances by the popular J-Pop group AKB48 as well as the FHM model search; just to name a few. 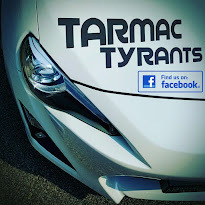 TarmacTyrants was at the scene this Saturday morning to provide some snap shots of the event exclusively for our readers. As usual, the Japanese race queens were the centre of attraction as hundreds of eager photographers with their lightning flashes and ridiculously large telephoto lenses flocked to the scene like fruit flies on an exposed rock melon. Not that I mind but getting a decent picture of certain import cars were a challenge when the models were there. Thankfully, I was one of the first few in the arena and the crowd was relatively manageable then. Else, I would have been really disappointed because I was there for the cars and not the babes. Now, back to business proper. Fortunately for me, I was greeted by the all time favourite Lexus LFA just at the entrance. Being one of the limited 500 in the world, she was certainly a real beauty. So much so that I spent 10 minutes around her as I could not get enough of this engineering marvel. I must admit that I have a serious obsession for this car and owning one is now impossible. Cost aside, if you don't already know, the 500th production unit rolled out of the factory last December. That marked a symbol of an iconic masterpiece that was never to be replicated the same way ever again. As a tuning enthusiast, the one thing you never want to ever miss was to talk to some of the participating distributors and retailers on after-market goodies. I spoke to Stamford Tyres, the local distributor for Project μ on their latest range of big brake kit replacements and found the forged 4-Piston kit with the 355mm 2-piece rotor rather attractive. I was rather tempted to hand over my plastic to secure a set of four for myself but my wife wasn't really into the signature colour of the Project μ. If you were into the tuning scene in recent years, no show would be complete without GTRs as Godzilla is the essence of after-market tuning. With after-market manifolds, twin turbos and carbon fibre body panels lying around, there is just too much one can do to a GTR. Leaving this platform stock is almost unheard of today as you would be known to be the greater fool. Thanks to the GTR owners club and some sponsors, the potential of the Godzilla was well iterated. With those over-sized brake discs and monstrous BHP numbers, being around them was certainly a true inspiration. Okay, so I am never going to paint my car this way but I certainly can appreciate the beauty behind this art piece. Obviously, this is no Mona Lisa but it is amazing how much was put into painting this car. Seriously, this is certainly a real piece of work. With the almost comic like effect of the "Joker" on the hood, this seemed like a clear winner to me. As this was the first Tokyo Auto Salon held outside of Japan in some 30 years, this 'pilot' gave the people of South-East Asia a flavor of the actual Tokyo Auto Salon experience right here in Singapore. Though it was not of a similar scale to the real deal in Japan, I figured that it was as close as it gets for now. Hopefully, there would be more participation from the after-market giants and tuners in the years to come. I've heard stories of guys buying expensive European spec autos and having a them sit at Customs for up to 7 years waiting for approval to import them.